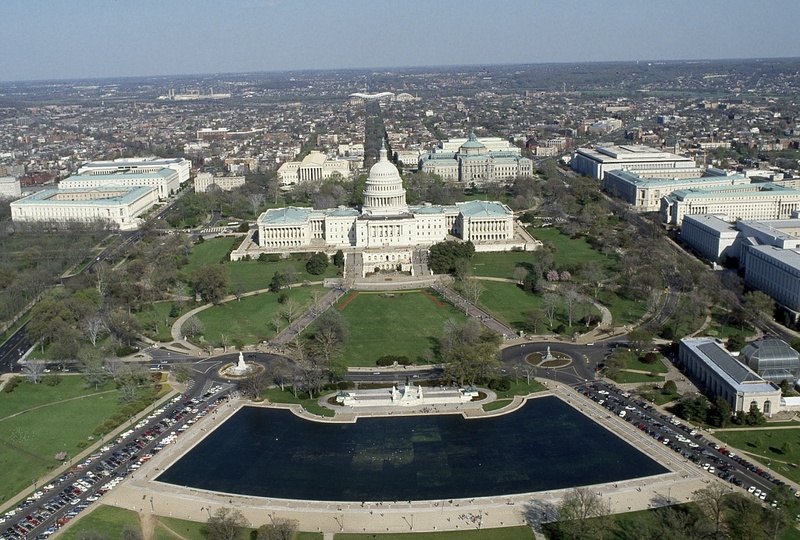 Washington, D.C.(or simply DC) is the capital of the U.S. and seat of its three branches of government. It is an independent federal district, located on the Potomac River between Maryland and Virgina. The city is well known for its iconic landmarks, including the White House and memorials to several presidents and wars. Connecting most sites is The Mall, a unique National Park that stretches for several miles in central DC and includes most landmarks. The city has a collection of free public museums, most of them led by the Smithsonian, that are unparalleled in size and scope. Chevy Chase House is a holiday home situated in Washington, 2.5 km from Vietnam Veterans Memorial. Offering free private parking, the holiday home is 6 km from Phillips Collection. Free WiFi is offered throughout the property. Average score from 7 guest reviews: 0.0/10. 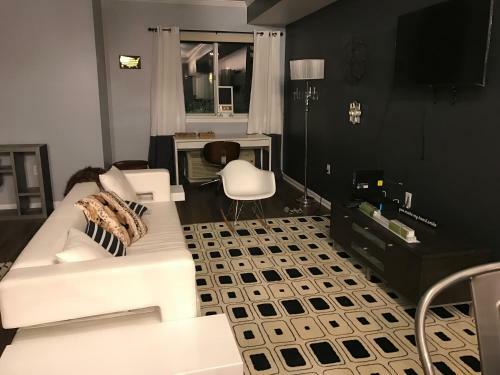 Located 1.6 km from Washington Convention Center, Ledroit Park/Bloomingdale - 2 BR Family-Friendly offers accommodation in Washington. The apartment is 2.8 km from Newseum. Free WiFi is provided . Average score from 109 guest reviews: 9.2/10. Situated in Washington, this holiday home is located 700 metres from Washington Convention Center. The holiday home is 1.7 km from White House. Free WiFi is featured throughout the property. Average score from 3 guest reviews: 8.1/10. 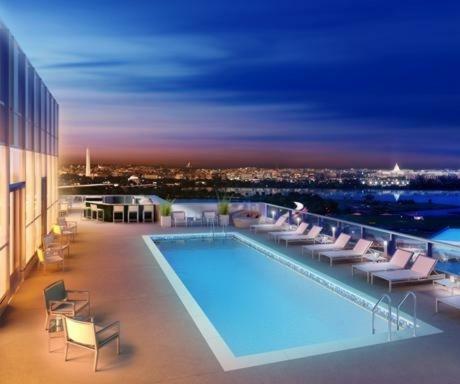 Offering a seasonal outdoor pool and barbecue, The Mile High Penthouse Suite is set in Washington in the District of Columbia Region, 1 km from White House. The accommodation boasts a spa bath. Washington Convention Center is 1 km from the property. Average score from 322 guest reviews: 8.9/10. Downtown House by Howard University is a holiday home with a barbecue, located in Washington in the District of Columbia Region. The property boasts views of the city and is 1.3 km from Washington Convention Center. Average score from 6 guest reviews: 8.9/10. See all hotels in Washington DC. 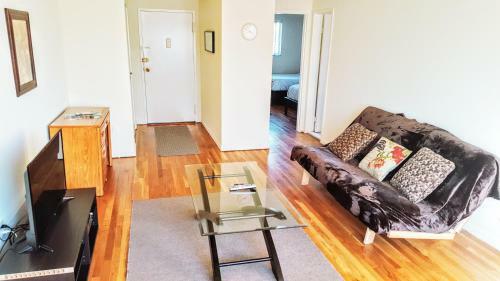 Studio H St Corridor offers accommodation in Washington. The apartment is 1.3 km from Supreme Court. Private parking is available on site. There is a dining area and a kitchen complete with an oven and a microwave. A TV is available. Average score from 10 guest reviews: 9.7/10. Super cute little space! Sophia was just a wonderful host! Free WiFi free delicious treats and a fantastic neighborhood with great coffee shops and yummy places to grab a bite! The loft was just adorable and so relaxing as well as the back porch area. If we ever get back to DC I will not be staying anywhere but here! Such an accessible studio, in a quiet & safe neighborhood, super convenient & a fabulous host who let us park in her spot! Also, the studio set up, design, and cleanliness was impeccable. We will DEFINITELY be continuing to stay here in future visits! Well appointed! When you walk in, it is evident Sophia has made your stay extra special. A lot of little extras you don't get in a normal hotel rental. This unit is one that will give you everlasting good memories. BOOK THIS HOTEL NOWSee all hotels in Washington DC. 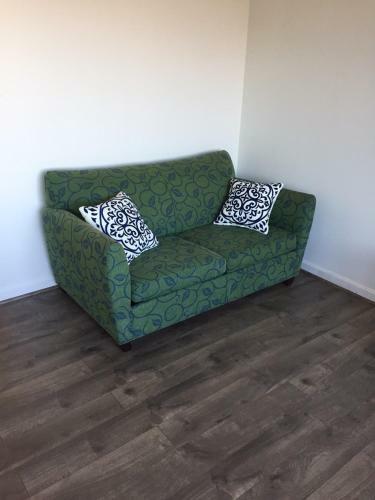 Gladys and David's Apartment offers pet-friendly accommodation in Washington, 3.2 km from Vietnam Veterans Memorial and 6 km from Phillips Collection. The air-conditioned unit is 7 km from The Capitol. Free private parking is available on site. Average score from 10 guest reviews: 9.7/10. Me and my friends stayed at Glady's place and it was AMAZING! They gave us all that we needed and provided excellent hospitality. They were kind, they were engaged and helped us out with all that we needed. It was close to shops, restaurants and the train station. We'll definitely be back. The place was absolutely fantastic! Gladys and David put a lot of love into this vacation rental. All you really need is a suitcase with clothes. They made it super easy to come and go as we pleased. Fell in love with the neighborhood that is only minutes away from Downtown DC! Definitely recommend staying here! I know we will for our next trip to DC!! I loved the host, very nice. The place was so clean and neat. Everything you needed was at your finger tips. Very close to restaurants, metro, stores, great location. Would stay there again. One of the best places I’ve stayed! Cute, comfy and affordable. Everything is according to the photos. Apartment is in the basement. There are two rooms: bedroom with the double bed, and living area with two sofas and the full kitchen. Both are furnished with great minimalist taste and have perfectly working climate control units. There is also laundry room with washer and dryer. Everything is new and in the perfect condition. A lot of stuff was included: shower supplies, additional linens and towels, snacks and drinks (!). Wi-Fi is great: stable and fast enough to make Skype calls or stream video easily. Location is great too, quiet neighborhood not far from the center of the city. Hosts are really nice and hospitable people! They provide you with recommendations about the city, including restaurants, places to visit and so on. Ready to answer any question and provide help. Really enjoyed my stay! The apartment is perfect : modern, fantastically well equipped, comfortable and clean. Coffee, tea, drinks...greatly appreciated ! This hotel is one mile from Arlington and within a 5-minute walk of Courthouse Train Station, with access to Washington DC. 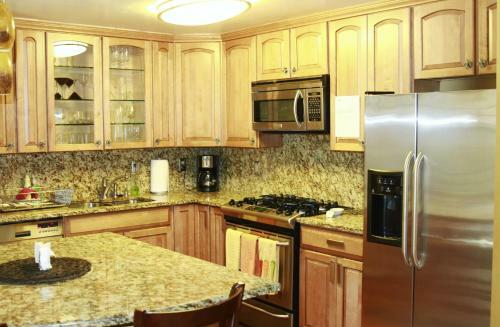 The hotel offers suites with a fully equipped kitchen. Average score from 64 guest reviews: 9.3/10. The staff was extremely friendly and helpful. Breakfast, which was included, was really good. The hotel was clean and in a very safe area located close to the nearby attractions. The subway was a short walk in the back of the hotel. The beds and location was amazing. Loved the full kitchen also. Room was lovely and very clean. Great breakfast.Very close to the Metro. Within two blocks walking distance. great location - near metro stop and bus stop and while exercising, I could see Arlington Cemetery and the Iwo Jima monument…pretty cool. The hotel was conveniently located (within walking distance) of many eateries and shops. It was a short drive to Arlington Cemetery and the Pentagon. Breakfast was quite substantial and very tasty. The staff, facilities, and location can't be beat! The location is surrounded by a comfortable neighborhood - restaurants, bars (check out Courthaus Social! ), Whole Foods, CVS, Corner Bakery, Starbucks, a nice little shopping area with a Pottery Barn - all within a couple of blocks! There are always people out walking, jogging, socializing ... it's a great neighborhood to meet people from all over. Enjoy your stay! Wonderful location !! Only a couple blocks from family! Clean and comfortable! Staff was attentive and professional! Offering a barbecue and sun terrace, Duo Nomad is set in Southeast. Rooms are fitted with a shared bathroom. Duo Nomad features free WiFi . You will find a 24-hour front desk at the property. You can play table tennis at the hostel. Average score from 17 guest reviews: 9.0/10. I liked it very much! All cleanly neat, attentive and polite staff, delicious breakfasts, which was prepared by a beautiful woman, unfortunately I do not know her name. A great option. Staff were amazing, property was so close to everything. Just excellent. The staff are great, especially Ms Hitomi, she is naturally warm and accommodating, is ready to help. 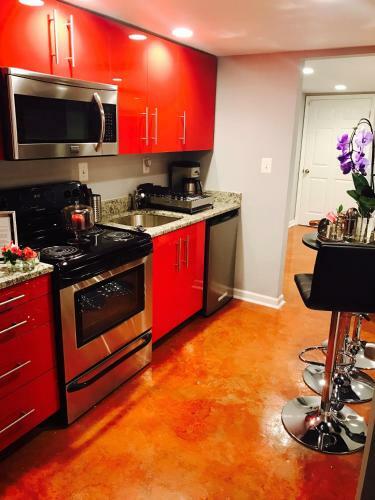 the apartment is neat, location is wonderful-very close to 'eastern market' metro station. Cheap and convenient, good location, close to all the main attractions. STAFF (Both the Guy who welcomed me in the late night & the Japanese lady (Who booked me cab) - Both were very friendly - Awseome!!! - Keep up Guys!! Location was great. Close to Capitol Hill, which was nice. And the place was quiet, so even though I was sharing a room, sleeping wasn't an issue. Exceptional staff! !, everything is new and always is clean!! 10 ..Alles war wirklich sehr schön Küche Bad sehr schön. Das Hostel ist neu . Sofa im Barok still ,wirklich sehr schön. Ich komme sehr gerne wieder. Thank you Duonomad for best time ever. Très bon petit déjeuner. Personnel très sympathique et toujours prêt à vous inclure dans des activités toutes simples comme boire un verre ou regarder un film. Etablissement propre et confortable, y compris les dortoirs. Très bien placé: arrêt de bus à côté, ou à 20 minutes de marche du Capitole (qu'on aperçoit en sortant de l'établissement). Connected to the Walter E. Washington Convention Center, the Marriott Marquis in Washington, DC features a fitness centre and health club. An outdoor terrace offers views of the city centre. Average score from 874 guest reviews: 9.0/10. Everything about the hotel is positive and uplifting, from the friendly check-in staff and cleaning staff to the light-filled space, pristine rooms, super-comfy beds,and luxury feel though it's a business hotel. Special shoutout for the amazingly delicious buffet breakfast, best we've had anywhere, with its efficient and cheerful waitstaff and lovely host Hanem. This is an extremely well-run hotel. We'll be back! I came early morning and was provided early check in and the staff was very nice, my bed and pillows were very comfy and the room was very spacious and clean. There's coffee/tea maker and mini refrigerator and Netflix too! I decided to go back to my room rarly evening on my last night so I can just relax and watched a movie in the comfort of my bed before I travel the next day. I was very satisfied with my stay. The location is great. We were able to visit all touristic attractions by foot, which allowed us to get a better feeling of the city. We loved the lobby - the design, the lounges, the lively atmosphere. The beds were so comfortable and the location was great in walking distance to everything. Very comfortable bedding. Breakfast buffet's food was plentiful, fresh, and constantly refilled. We booked six rooms for the night of the Women's March on Washington. On what must have been the busiest weekend of the year for them, every staff person we came in contact with was calm, friendly and helpful. The rooms are clean and fresh and the location is excellent. Friendliest staff. Everyone I interacted with smiled, was courteous and genuinely seemed happy to help. Beautiful clean hotel in a great location. The staff was incredibly helpful and accommodating. Would highly recommend. 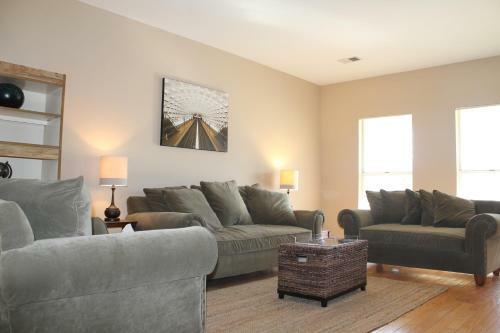 Located 3.6 km from Arlington Cemetery, RestAssured America offers accommodation in Arlington. Providing private parking, the apartment is 5 km from US Marine Corps War Memorial. Free WiFi is featured . Average score from 12 guest reviews: 8.8/10. Situated 3 km from Arlington Cemetery in Arlington, this air-conditioned apartment features a balcony. The unit is 3.8 km from US Marine Corps War Memorial. Free private parking is available on site. Average score from 8 guest reviews: 8.7/10. 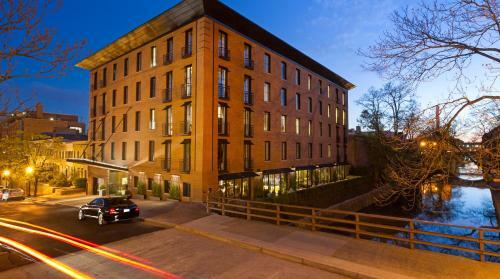 Located along the C&O canal in the retail and cultural epicenter of the nation’s capital, The Georgetown House is 322 metres from Georgetown Waterfront and Georgetown’s restaurants and boutiques. Average score from 38 guest reviews: 8.5/10. Perfect spot for leaving your car behind! 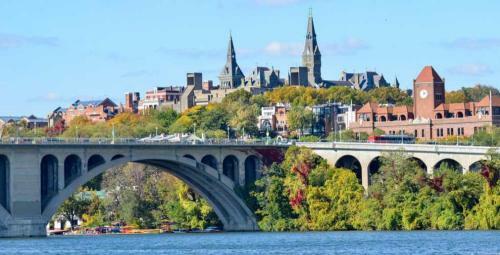 Extremely convenient to Georgetown university. Beautifully updated. Everything about this gem of a location was perfect. Excellent service too when we needed it. Perfect location. Right in the center of Georgetown with amazing bars, restaurants and shops right on the doorstep. Very comfortable and clean. The location was perfect for where we go in Georgetown. A dozen restaurants within a block or two, lots of shopping, a hundred yards from Blues Alley (also excellent), and cheap parking right across the street. Rooms were very clean and comfortable. Plenty of pillows. Great neighborhood ! Will stay there again. Location. Cleanliness . Rooms are updated . Great WiFi reception. Nice kitchen and well equipped . I liked that our room had an independent exit door to the back street by the canal. 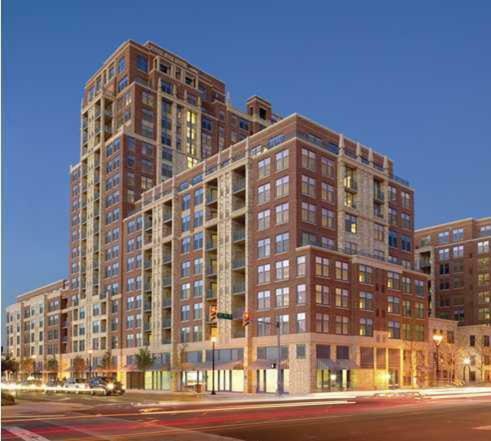 Walking distance to the Georgetown Waterfront. Location good in Georgetown, lovely accommodation. Very helpful Sevice, if you find someone in or ask them to come. The location is pretty good in the middle of Georgetown but not if you're looking for something silent. A lot of pubs and restaurants around. Complete new interior in the hotel. The italian restaurant (il canale) next to the hotel is pretty good. Featuring free WiFi and a fitness centre, Georgetown Homestay offers accommodation in Arlington. Free private parking is available on site. You will find a kettle in the room. You will find a shared kitchen at the property. Average score from 443 guest reviews: 8.4/10. Courtyard Arlington Crystal City, 1.5 miles from Ronald Reagan Washington National Airport, offers free airport shuttle service and a gym. Rooms have 32-inch flat-screen TVs with HBO. Average score from 420 guest reviews: 8.4/10. Very comfortable bed. The staff was also very helpful with my needs to get into a room early. My flight was cancelled and Bistro area was extremely comfortable while I waited. The place is very nice. The room was extra comfortable and clean. This place was a great place to stay before our flight out of DC. Comfortable and the price affordable. Close to airport and destination. Taxi readily available. The bed was perfect and it was close to a lot of good restaurants. The food was super tasty! The staff was very nice too. I had a great stay! The overall staff was vey pleasant and friendly. I look forward to my next visit. The room was very nice and the airport shuttle was very convenient. The staff were extremely friendly and knowledgeable, and showed eagerness to help us in every way. Room was clean and bed was comfortable. Parking was easy. This Arlington, Virginia hotel offers free shuttle services to Ronald Reagan National Airport. The hotel features a gym and rooms with coffee makers. Guest rooms at the Hilton Crystal City include cable TV with pay-films. Average score from 165 guest reviews: 8.3/10. The bed was a dream like sleeping on a cloud. Excellent staff always willing to help. Peaceful quiet great view . In walking distance to great shops and restaurants. The staff was very friendly and helpful. They helped me right away when my key was not working. We had a pleasant stay. I would recommend this hotel. The staff, including the front desk, the shuttle drivers, housekeeping and restaurant servers, were professional, friendly, and willing to answer questions. For example, they helped me to locate a TJMaxx store and provide shuttle service there and back. Room was very clean, comfortable bed-- good arrangement for furniture and facilities. I At 11:30 pm when I arrived from a delayed/canceled flight the desk attendant was very helpful and friendly, which I appreciated. My TV remote had a problem, but was quickly replaced by their technical staff.Loved having a free shuttle to the air port too. The price was very reasonable too-- esp. for last minute. I was visiting the D.C./Virginia area for a OCS graduation. I stayed in Dumfries for the graduation and traveled back to the D.C. area for the rest of the weekend. 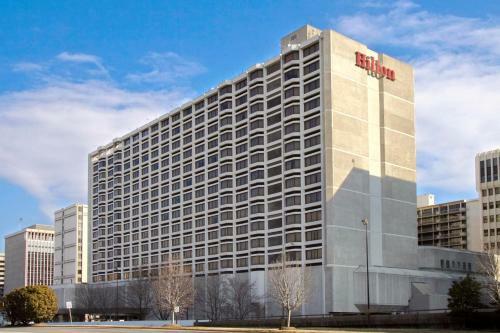 The hotel was a great location in terms of the Reagan International Airport. The hospitality and service was great. There are a lot of restaurants to explore. I would highly recommend it if you are visiting D.C. Loved it. The staff was extremely helpful with two small problems that we had and resolved very quickly. The room. Well appointed and I loved the comfortable bed! Housekeeping very efficient and friendly. Clean, clean and well-maintained. Central. Everything was good. The staff was friendly and helpful. The room was comfortable. The location was great and the price was half of the places we checked in DC. 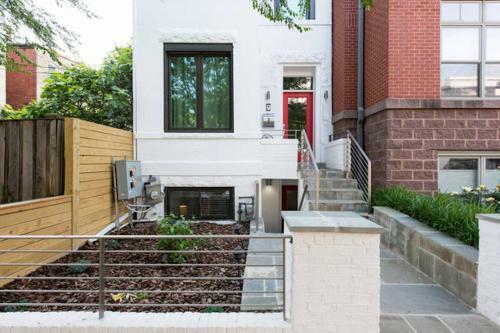 DC Gem is a holiday home with a balcony, set in Washington. The air-conditioned unit is 6 km from Supreme Court, and guests benefit from free WiFi and private parking available on site. Average score from 13 guest reviews: 8.2/10. 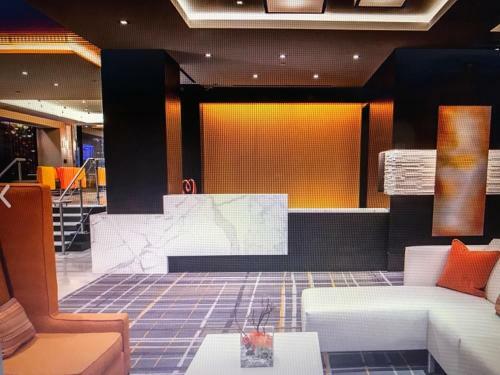 This hotel is conveniently located at the corner of 13th Street and M Street, less than 10 minutes’ walk from Washington Convention Center and the Verizon Center. It features a fitness centre. Average score from 339 guest reviews: 8.2/10. Great location it was walking distance to most attractions with excellent facilities and very helpful staff. Breakfast was great there was always enough. It wasn't cold and it wasn't crowded or rushed. I ate around 8:30 and the next day 9:30 (breakfast is from 7am-10am) the availability of the food was the same. I've been to places where the food is gone by 9:30am. Location is great there's a CVS 5min away and White House is 15min walk. OUTSTANDING desk staff ("Raj"), excellent breakfast bar, rooms were clean with fresh towels/supplies daily, business center met my needs, and entire staff was helpful and friendly! EXCEPTIONAL value! Staff were very knowledgeable and very pleasant. The location was great. The rooms were clean and the beds comforting after a long day in DC. We enjoyed the refreshing lemon water and the yummy cookies after our long day.The breakfast was filling and something for everyone. Would definitely come stay here again. Thanks to all at the INN. Very friendly staff, great location, great breakfast, very clean rooms! The bed was super comfy, and I really liked the decor of the hotel. From the outside you might doubt that the inside will look nice, but once you're inside, it gets a lot better. Also, the woman working the front desk was very polite and helpful with switching our room. The first room we got was rather oddly shaped, and the desk was in a corner without much space to sit; I needed to get a lot of work done the night I stayed there, so I thought I'd ask to switch to a room with a more comfortable desk arrangement. The receptionist gladly helped us and we weren't made to feel at all bad about asking. Oh, and there was free popcorn at 1 pm and free cookies at 4! Everything about this place was brilliant. Everything was in walking distance, the rooms were spacious, comfortable and spotless, the price was incredible and the breakfast catered for everyone. I would highly recommend this hotel. I will definitely be staying again. Good location, near to all attractions.the staff were very polite and very friendly. Located in campus of Gallaudet University, the hotel is situated in an area listed in the National Register of Historic Places, with architecture dating back to the early 1800’s and beautiful grounds. Average score from 534 guest reviews: 7.9/10. Receptionists are very accommodating. Shuttle is available to Union Station roundtrip. It's on Galludet College campus which is beautiful. The rooms are clean and comfortable. Very big rooms, nicely equipped fitness center (for a hotel), pleasant and helpful staff. The hotel is on campus which is excellent for walks. The staff are friendly and use sign language to communicate. We appreciate it. The hotel was really clean and updated. I was surprised the hotel was located on campus but it was surprisingly nice. The hotel clerk was very pleasant as well. They have a free shuttle to union station and then it is an easy walk to the Capitol and National Mall. Inexpensive taxi trip to National Mall if shuttle doesn't suit. Situated 2.4 km from US Marine Corps War Memorial and 2.8 km from Arlington Cemetery, Clarendon 3128 offers accommodation in Arlington. The apartment is 1.8 km from Marymount University. Free private parking is available on site. Average score from 32 guest reviews: 7.8/10. Located in Arlington, Rosslyn 1305 offers self-catering accommodation with free WiFi. The air-conditioned unit is 500 metres from US Marine Corps War Memorial. Free private parking is available on site. Average score from 11 guest reviews: 7.7/10. 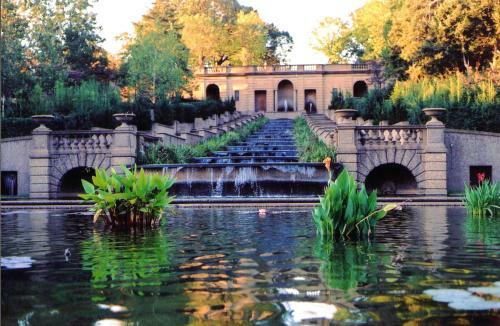 Located in Arlington, Virginia, this hotel is 2 miles from Bon Air Park & Memorial Rose Garden. The hotel features free parking and guest rooms include free Wi-Fi and a refrigerator. Average score from 514 guest reviews: 7.5/10. Room was clean and comfortable. Staff was friendly and helpful. Location was great for the reason we were there. Free parking on site was a bonus. The Inns were in a great location - if you need to go to Arlington Cemetary. There are long hallways. Rooms are basic and mine was clean - no problems. Breakfast is very basic - but has the necessary coffee - and muffins all sealed in a bag. The price was right for what I needed. CVS down the road and italian deli. Overall, it was a pleasant stay at a reasonable cost (value). The staff was very helpful and handled my requests. 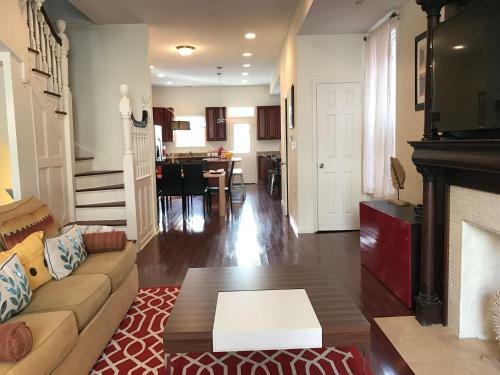 The property is located 10-15 minutes away by car from downtown Washington, otherwise the public commute is super easy too - the bus stop is next to the Inn and it takes you to Rosslyn metro station. The hotel was incredibly clean and staff was friendly, helpful, and professional. Fridge and microwave in room. On bus route 55 that goes straight to Rosslyn and there is a Safeway around the corner within walking distance. Although I do list a few suggestions for improvement, this was a really wonderful choice and we would stay here again. 15 to 20 minutes walk to the metro... right near a great bike path. It was a great value. We were out early and in late the few nights we stayed there. Great map of area. Very convenient to park paths. Adequate bus service to Metro. This 5-star Arlington hotel is within a 10-minute drive of Washington, D.C. The hotel offers an on-site restaurant and modern guest rooms with flat-screen TVs. Average score from 372 guest reviews: 9.2/10. pleasant Front Desk check-in. Staff exceptional, very kind. We were in town celebrating my graduation from Georgetown University and I was treated like a queen. location. friendly staff. restaurant was very good. We went for a bachelorette party and had an incredible experience. We booked a suite and a double room for the party guests. The suite was the perfect homebase for our group. The bed was amazing, and the room was large with lots of seating. We had a wonderful time. Great location. Clean facility. Pleasant and friendly staff. From the time I arrived the staff gave personal attention to make sure our stay was the best. Bed was like a cloud. Very clean. Nice ambience, attentive staff, beautifully decorated and it smelled great all throughout the building!!! This hotel exceeded my expectations. It is in a great location. Located right inside the mall. We had such a great stay we can not wait to return. Staff was wonderful, particularly Robert at the bar, exceptionally courteous and professional. Whenever possible, we book the Ritz. And while the property are always nice, the staff is what consistently makes this line of hotels a notch above every other chain. Featuring free WiFi throughout the property, Luxury 2 Bed Apartment with Capitol View is situated in Washington, 500 metres from Washington Convention Center. National Gallery of Art is 1.3 km from the property. Average score from 9 guest reviews: 9.2/10. Located 10 minutes’ drive from Ronald Reagan Washington National Airport, this property boasts an outdoor pool and apartments with a balcony. Central Washington, D.C. is 3 miles away. Average score from 10 guest reviews: 8.9/10. Just steps from Union Station, this hotel offers on-site dining and a complimentary wine reception each evening. A flat-screen TV with cable is featured in all rooms. The White House is 2 miles away. Average score from 201 guest reviews: 8.9/10. Everyone at the hotel was accommodating, friendly, incredibly professional and helpful. Rooms were beautiful, elegant and really clean. Restaurant is phenomenal. Gym is great. Will definitely return! The staff was friendly and helpful. It was a clean and comfortable room and located close to Union Station. The staff was very friendly and helpful and who doesn't like a free wine tasting at 5:00 p.m.!! We loved the atmosphere and decor! The complimentary wine hour was a great touch. The staff was very kind and worked hard to meet our needs. This is the most unique hotel we've seen. We will definitely stay here again during our next visit! The bed was extremely comfortable! The staff was very welcoming and wanted to hear about our trip in. The bistro had great food and an amazing atmosphere. The location was perfect. A wonderful boutique hotel with a great staff who really took care of us. The 5 oclock wine hour was a lot of fun and we met some really nice people who otherwise we would not have got to know. The bed was very comfortable and the attached Bistro was a fun place to relax at the end of a long day. It also has one of the best fitness centers I have used at a smaller hotel. You definitely cannot beat the location. The entire staff could not have been more accommodating. The property is second to none. I loved the warmth and atmosphere of The George Hotel everyone made you feel at home. I totally forgot I was staying in a hotel. The rooms were decorated with elegance and opulence. Micheal the night supervisor took care of all my needs to make sure I had a fantastic experience. That's great service! 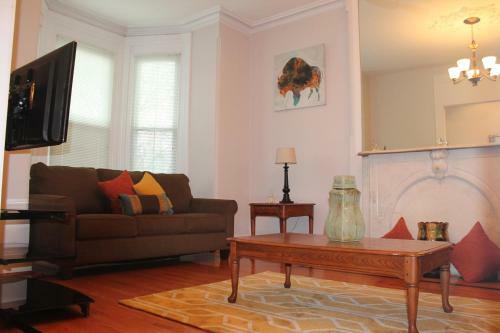 Comfortable rooms in an excellent location nearUnion Station. We walked to the hotel from here on arrival. Also enjoyed the complimentary wine at 5 in the lobby. Staff were cheerful and helpful. 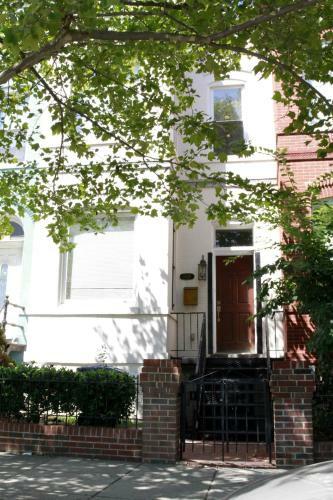 Set in Washington in the District of Columbia Region, this holiday home is 1.8 km from Washington Convention Center. The unit is 2.9 km from National Gallery of Art, and guests benefit from free WiFi and private parking available on site. Average score from 918 guest reviews: 8.9/10. Parkside Home!! is a holiday home located in Washington and featuring a garden with a barbecue. The holiday home features air conditioning and free WiFi. The kitchen is equipped with a dishwasher, an oven and a microwave, as well as a coffee... Average score from 15 guest reviews: 8.9/10. 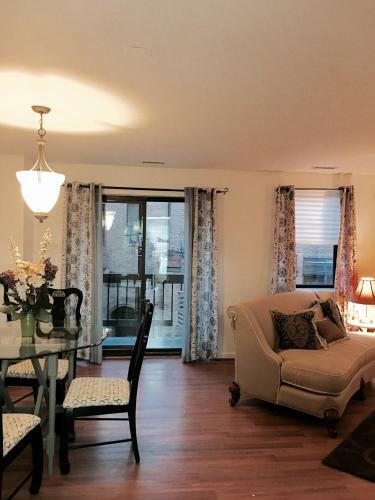 Offering a garden and outdoor pool, Arlington Fully Furnished Apartments in Crystal City is situated in Arlington, 3.4 km from Arlington Cemetery. US Marine Corps War Memorial is 4.2 km away. Free WiFi is offered . Average score from 397 guest reviews: 8.8/10. 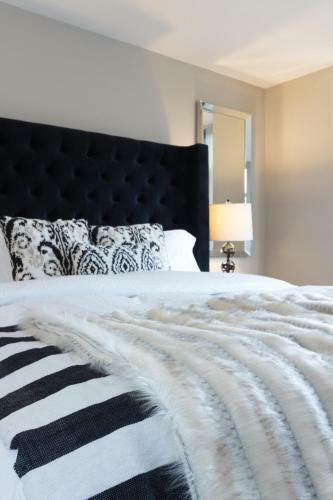 Foggy Bottom Condo offers pet-friendly accommodation in Washington, 800 metres from White House. The air-conditioned unit is 900 metres from Lincoln Memorial. Free WiFi is available . A dishwasher and an oven can be found in the kitchen. Average score from 62 guest reviews: 8.6/10. 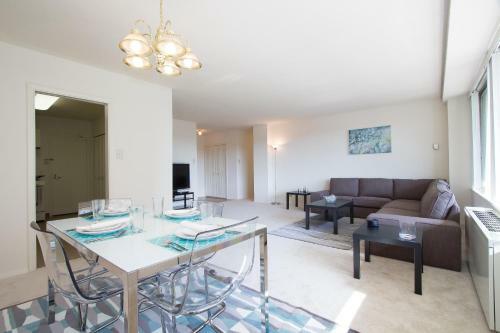 Crystal City 2 Bed 2 Bath Balcony! 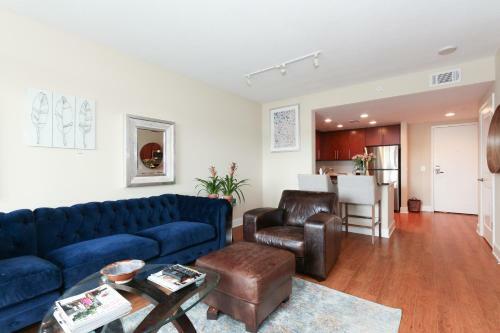 Located 5 km from Arlington Cemetery in Arlington, this apartment features a terrace. This apartment features an outdoor pool and free WiFi. Free private parking is available on site. A dishwasher, an oven and a microwave can be found in the... Average score from 10 guest reviews: 8.6/10. 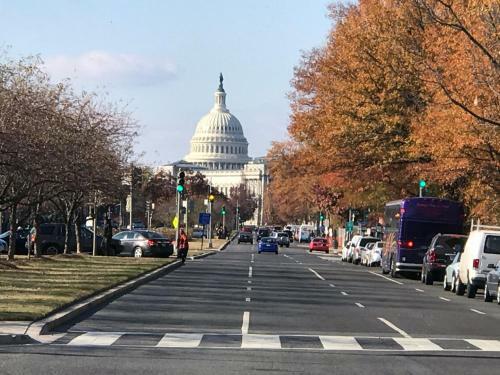 Centrally located in Washington, D.C., this hotel is just 3 blocks from the White House and 1 mile from the National Mall. It offers spacious guestrooms with free Wi-Fi. Average score from 727 guest reviews: 8.5/10. We loved it. The staff was wonderful esp the Vallet department! Bed good but we really wanted two full size beds and could not get them. Sumptuous pillows, full size roll-away bed, accomodating staff, great location. This hotel and the staff are simply awesome professionals who make you feel like you've known them forever. All mod cons in the room, very clean and a very comfortable bed. Staff very helpful and friendly. Great location, helpful, friendly staff. Lovely room, peaceful and quiet. The breakfast and staff were wonderful! The waiter who worked the weekend shift could not have been better....even gave me a hug before we left for the airport!! The lobby is welcoming, relaxing, and very comfortable.....from the great free coffee to the refreshing fruit infused water! Perfect for our brief stay in Scottsdale! Great location across from Metro. Friendly and helpful staff. Would stay there again and recommend to others. Located in Arlington, this air-conditioned apartment features free WiFi. 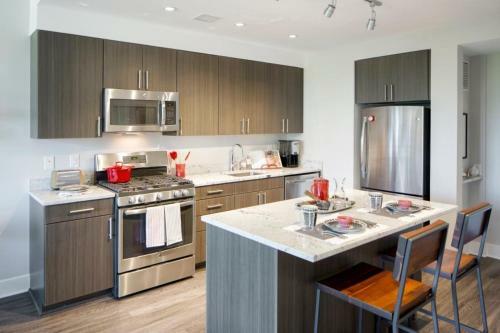 Pentagon City Luxury Apartment features views of the city and is 2.7 km from Arlington Cemetery. Towels and bed linen are offered in this apartment. Average score from 422 guest reviews: 8.5/10. Set 1.3 km from Phillips Collection in Washington, this apartment features a garden with a sun terrace. The air-conditioned unit is 1.9 km from Washington Convention Center. Free WiFi is offered . The kitchen comes with a dishwasher. Average score from 11 guest reviews: 8.3/10. Featuring free WiFi, BridgeStreet at The Bartlett offers accommodation in Arlington. Arlington Cemetery is 2.5 km from the property. The accommodation is air conditioned and features a flat-screen TV. Average score from 12 guest reviews: 8.2/10. Featuring a seasonal outdoor swimming pool and on-site dining, Hyatt Place Washington DC/US Capital is located in the NoMa neighbourhood of Washington D.C., just 2.7 km from The White House. Average score from 485 guest reviews: 8.2/10. Clean room, comfortable bed, pleasant and very helpful staff. Close to metro. We had a full ceiling to floor panoramic window looking over the city. Large walk-in shower and good lighting in the bathroom for applying cosmetics. A very short distance walk to the metro stop and lots of small eateries around. The staff was outstanding really enjoyed their service and would be happy to return. The breakfast is hearty and plentiful. The staff is friendly and helpful. The nightly bar scene is relaxing and reasonably priced. The location next to the Metro makes it easy to get around DC. We used Uber when the Metro was not viable (still mostly used Metro). I couldn't be any happier with my stay. Everything was absolutely perfect. I felt safe, comfortable, and the staff were very nice and helpful. The mid day front desk staff and bartender were absolutely amazing!!! large and clean room with the view of capital! i love the breakfast- delicious food and variety. the staff are really nice. Satisfying breakfast, great room size and cleanliness, friendly and helpful front desk, breakfast and housekeeping staff; also relaxing lobby area. Walking distance and transportation to downtown and elsewhere was a plus, too. The room was very well appointed quite and wonderful full window as a wall looking straight down. The breakfast buffet was very generous and great variety. The staff was very helpful with getting to the metro and answering questions regarding Memorial day festive suggestions. Restaurants close by great and reasonable. It is also on the circulation bus route into DC Mall. Very handy. Featuring free WiFi, Kimpton Mason & Rook Hotel offers pet-friendly accommodation in Washington, 4 minutes' walk from Logan Circle. Guests can enjoy the on-site restaurant. Private parking is available on site. Average score from 459 guest reviews: 8.1/10. Loved the huge rooms. We made use of the free bike hire and saw most of the sights in one day! The staff are amazing and friendly. Wish we had time to play chess in the lobby. Hotel is close to a a street full of restaurants, bars & coffee. Roof-top bar and pool provided at scenic view of the city while providing quality drinks and entertainment. Room was high quality and very modern. Staff were exceptional from check-in to check-out. Just an overall great experience. House staff could not have been more professional. Everyone was very warm and friendly and helpful. The overall feel of the hotel was luxurious, even down to the scent in the lobby! Absolutely beautiful. Very modern but comfortable. Best bed and the toiletries smelled fantastic! The staff was so helpful and knew all of the great places to eat. There is a happy hour with nice wine and then early morning they had coffee. Just overall great place. Beautiful property with attentive staff in a residential neighborhood: filled with energy, great restaurants and a Whole Foods. What an incredible property. Clinically clean, modern, tasteful, chic. The food and bar was fabulous. I also and an incredible burger and fries from rook service. I was very impressed. Fantastic very spacious room, friendly and helpful staff and a conveniently located hotel. One of the top hotels in DC. Great room, spacious and clean. The Huge TV made all the difference. The room was equipped with a 65'' TV which was impressive. The location of the hotel was perfect as everything in DC became a walking distance. The staff were extremely friendly and helpful. We loved our stay! 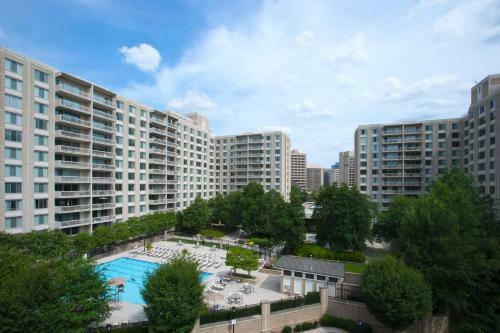 Set 2.7 km from Arlington Cemetery in Arlington, this apartment features an outdoor pool. The property features views of the city and is 3.5 km from US Marine Corps War Memorial. Free WiFi is featured . The kitchen has a dishwasher. Average score from 79 guest reviews: 8.0/10. Gallatin Street House ! ! ! Featuring a garden, Gallatin Street House ! ! ! is a holiday home situated in Washington. The air-conditioned unit is 2.8 km from Vietnam Veterans Memorial, and guests benefit from free WiFi and private parking available on site. Average score from 5 guest reviews: 9.7/10. Centrally located in Georgetown just 10 minutes’ walk from Georgetown University, this hotel boasts a restaurant and rooftop bar. Each guest is pampered with personal assistant services. Guests of Rosewood Washington D.C. Average score from 63 guest reviews: 9.3/10. Staff was incredible, I will stay there again. I loved it. Attentive and personal attention from staff. Beautiful facility. You can walk to lots. Really cool area. Great staff. Great location in Georgetown. Good looking hotel with a professional and friendly crew. Large room, view on the canal, quiet. Perfect room, rooftop, service was in top at the hotel.
. Location and Staff was excellent . Rye Bar Bartendtress was exceptional . Gentleman who opened front door and got our car was top notch as was consierge. . Housekeeping staff was friendly and nice . Loved the newpaper selection on check in . Great Coffee and Expresso . Great location in Georgetown. Top class facilities, excellent food and helpful staff. Located in Washington, this air-conditioned apartment features a terrace and a garden. The unit is 600 metres from Washington Convention Center, and guests benefit from free WiFi and private parking available on site. Average score from 12 guest reviews: 9.0/10. 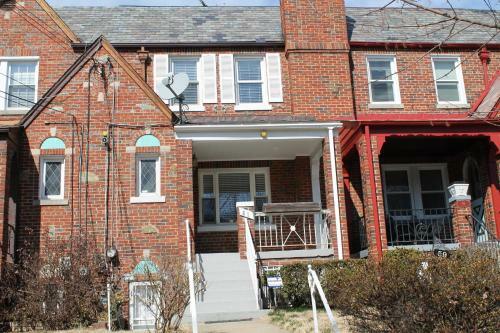 Columbia Heights Home!! 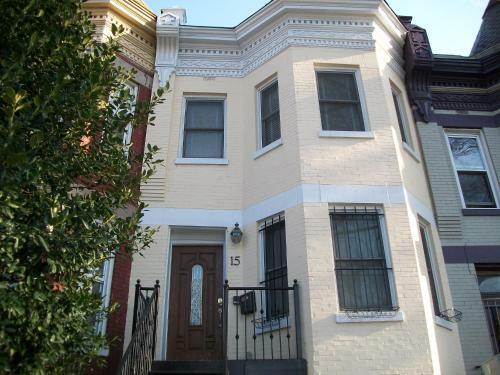 is a holiday home set in Washington in the Northwest district, 1.5 km from Phillips Collection. The holiday home is 2.1 km from Washington Convention Center. Free WiFi is available throughout the property. Average score from 488 guest reviews: 9.0/10. Located in Washington, this air-conditioned holiday home features free WiFi. 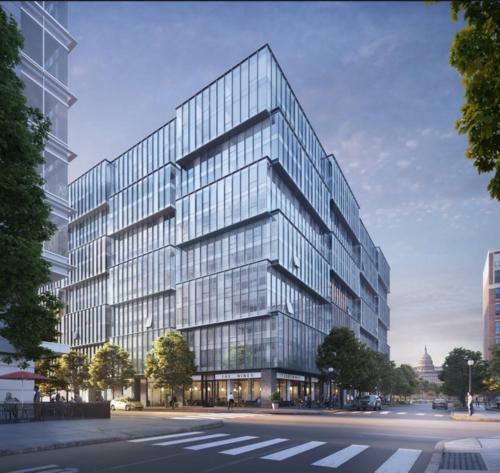 The unit is 1.6 km from Washington Convention Center. There is a seating area, a dining area and a kitchen complete with a dishwasher, an oven and a microwave. Average score from 864 guest reviews: 9.0/10. 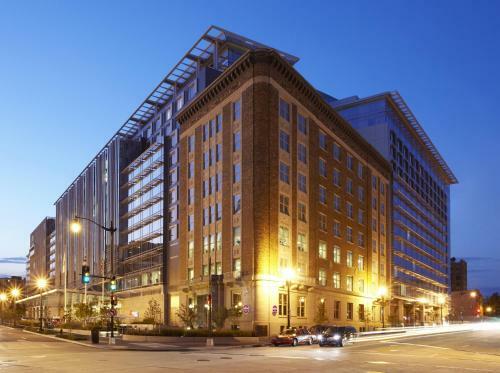 Featuring free WiFi and a fitness centre, Residence Inn Washington Capitol Hill/Navy Yard offers pet-friendly accommodation in Washington, 1.6 km from Supreme Court. Average score from 10 guest reviews: 8.9/10. 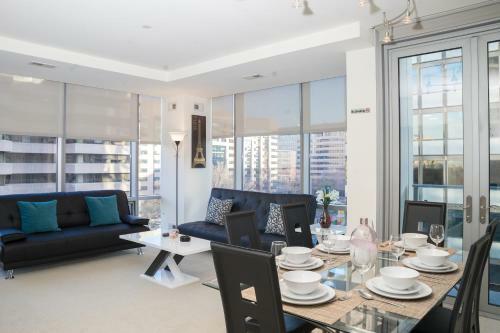 2 Bed Penthouse by Convention Center offers pet-friendly accommodation in Washington, 600 metres from Washington Convention Center and 1.3 km from National Gallery of Art. Offering free private parking, the apartment is 1.3 km from Newseum. Average score from 8 guest reviews: 8.9/10. Located around the corner from the White House, JW Marriott Washington, DC offers luxurious rooms with a flat-screen TV. Facilities include an indoor pool and a whirlpool. The rooms of JW Marriott Washington, DC have a modern interior. Average score from 31 guest reviews: 8.9/10. We love the place sure we will go back with my friends. The staff are tremendously professional and helpful. The hotel is extremely clean, room was spacious and the bed was comfortable. Service was excellent in both the lounge and restaurant. Visited 1331 restaurant for drinks and snacks. Service was terrible and menu items and drinks overpriced. Didn't go back. Excellent, friendly service from staff and indoor pool was a nice bonus for my son! Very comfy bed - hard on get out of it in the morning. Breakfast buffet was excellent. I stayed in a recently renovated room which was decorated in great taste, comfortable bed&pillows. Housekeeping is amazing. After leaving a hotel that was upmarket but very unfriendly it was a pleasure to walk into the JW Marriott and be greeted with a smile and nothing is to much hassle attitude. The hotel is in a perfect location to walk to all the top tourist hot spot locations. I would recommend this hotel to anyone. The entire staff, from the doorman to the cleaning staff, was friendly and quite efficient, and made me feel like royalty. Set in the Southeast district in Washington, Global Luxury Suites in Capitol Riverfront offers an outdoor pool and barbecue. Supreme Court is 1.3 km from the property. Free WiFi is available throughout the property. Average score from 106 guest reviews: 8.9/10. Located in Washington, this air-conditioned holiday home features free WiFi. You can fire up the barbecue for a tasty meal and enjoy the garden in fair weather. There is a seating area and a kitchen. Average score from 7 guest reviews: 8.9/10. 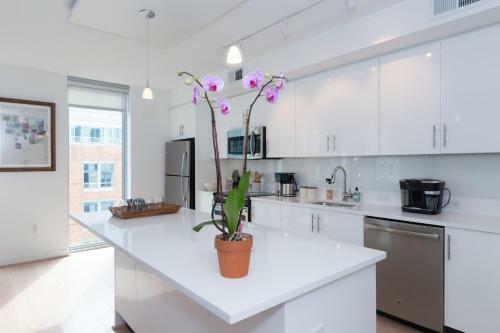 Featuring a garden with a seasonal outdoor pool, Plush Launchpad in the Heart of DC is an apartment set in Washington, 600 metres from Washington Convention Center. Average score from 105 guest reviews: 8.9/10. 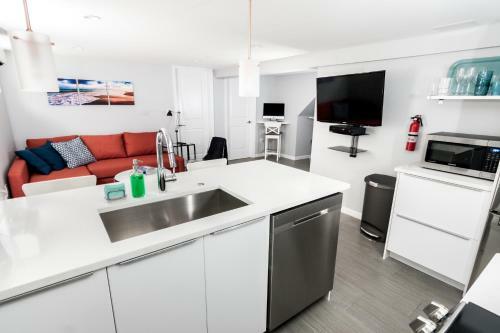 An outdoor pool and a sun terrace are available for guests of these Crystal City apartments, which also include free Wi-Fi. Ronald Reagan Washington National Airport is just 2 km away. Average score from 9 guest reviews: 8.9/10. 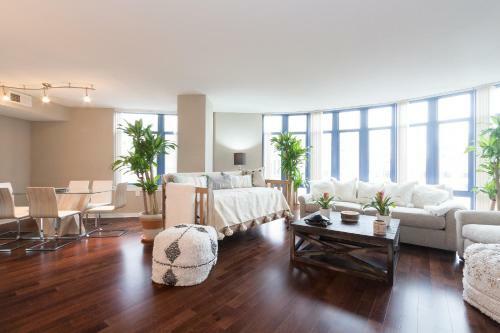 Set in Washington, this air-conditioned apartment is 1 km from White House. The unit is 1 km from Washington Convention Center. Free private parking is available on site. Average score from 15 guest reviews: 8.7/10. 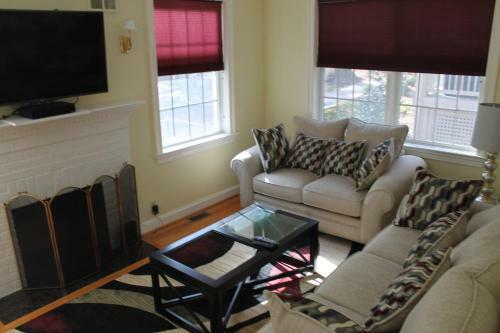 Located in Washington, Upscale 3 Bed Apartment on Dupont Circle offers self-catering accommodation with free WiFi. The air-conditioned unit is 1 km from White House. Free private parking is available on site. Average score from 7 guest reviews: 8.6/10. Historical landmarks include the White House, the US Capitol Building, the Washington Monument, the Lincoln Memorial and Reflecting Pool, the Franklin Delano Roosevelt Memorial, the Vietnam War Memorial, the Korean War Veterans Memorial, and the Jefferson Memorial. The city has a vast number of free public museums, led by the Smithsonian. The National Mall. This is a unique National Park, filled with an intense concentration of monuments, memorials, museums, and monumental government buildings, including the White House and Congress.